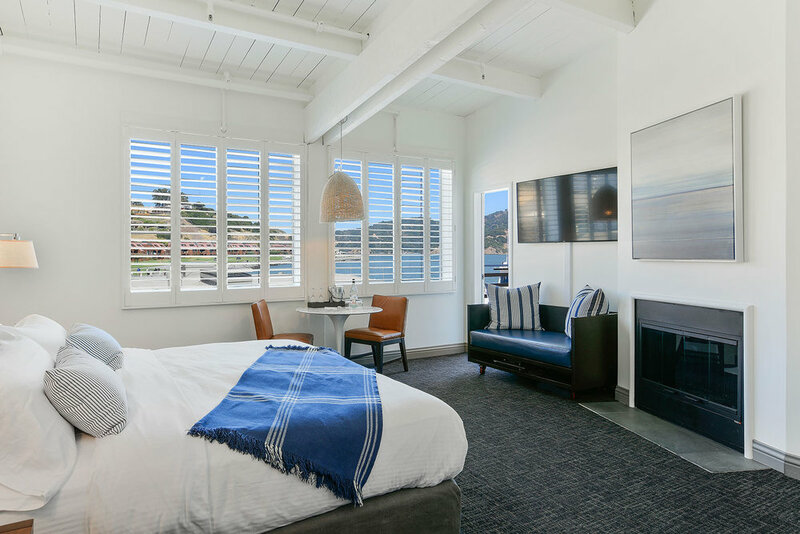 When you stay in one of our Marin Hotels you’re positioned at ground zero for wellness, self-care, and time in nature. Even if you never left the hotel you’d be on your way to wellness since each of our hotels is immersed in a peaceful natural setting: Waters Edge Hotel is located in Tiburon on the shores of the San Francisco Bay, Acqua Hotel is located on the shore of Richardson Bay with a full view of Mt. Tamalpais, and Mill Valley Inn is tucked into a stand of Redwoods. The setting of each of our properties is something that our guests love! Lets not overcomplicate this. Just plan to go for a walk among the trees, with no other agenda. So easy! Whether you’re in the mood for the full-on National Park experience or a lesser-known local’s favorite, Mother Nature provides in Marin County. Old Mill Park. Lovey Redwoods and easy paths wind around the area. An easy walk from Mill Valley Inn you’ll be immersed in the grove in under 5 minutes. If you’re driving, there’s usually street parking around the area. Baltimore Canyon. Okay now you know what the locals know: this spot tucked behind a neighborhood in Larkspur is one of the most amazing spots in Marin to get in the trees, with a bonus waterfall called Dawn Falls. Pro Tip: the parking at the trailhead is limited. Go early or find a spot in the neighborhood and walk to the trailhead. Worth it! You will see homes of all types built around the Redwoods — literally. An only-in-Marin experience! Samual P. Taylor State Park. These lesser-known Redwoods in Marin county offer a peaceful place to connect with nature, and a beautiful backroads drive to the destination. Hike to the Pioneer Tree and lay at her base and breathe, over and over again. Roy’s Redwoods. Some of the tallest Redwoods in Marin can be found in this quiet, uncrowded forest with an easy loop hike. Muir Woods. Well of course we need to include one of the crown jewels of the National Park system right here in Marin. Every time we mention Muir Woods we’re going to remind you: make reservations. There is an abundance of excellent Yoga studios in Marin. We’ve selected a few for proximity to our hotels. They all offer drop-ins with day-of reservation and/or private sessions. Now Power Yoga is located in a small shopping area in Corte Madera, with plenty of parking and easy access. Check out Book Passage while you’re there! Red Dragon is located near downtown Mill Valley, an easy walk or bike ride (borrow one of our bikes!) from Mill Valley Inn. Metta Yoga is located in the old town square in Corte Madera. They also offer classes for kids! Pro Tip: free parking across the street near the gazebo. 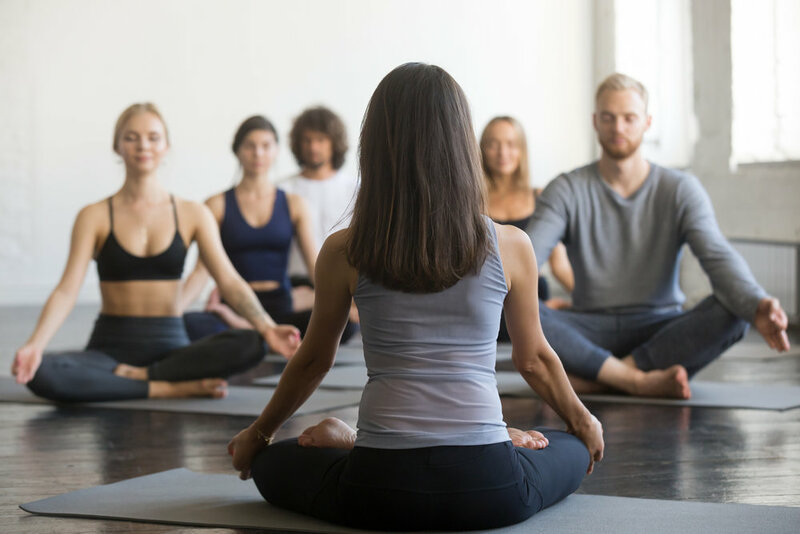 Not technically a yoga studio, but wildly popular: Tiburon Parks and Rec offers yoga classes (and other fitness classes) in a spacious and airy room in Town Hall located a few blocks from Waters Edge Hotel. p.s. in the next few months, we’re adding yoga mats and blocks to each of our guest rooms! Hiking, yoga, and body work is pretty much the troika of a wellness itinerary. Here are three choice suggestions for the latter that also happen to be nearby our hotels. International Orange where you can enjoy the sunny deck or the bright and warm relaxation lounge before and/or after your treatment. Evo Spa is small, lush and low key with really lovely practitioners and and excellent shop with clothing, jewelry, and body products. Conscious Transformation for a truly magical, mystical, highly personal experience with Andrea Satyam in her small studio in Mill Valley. Namaste + see you out there!